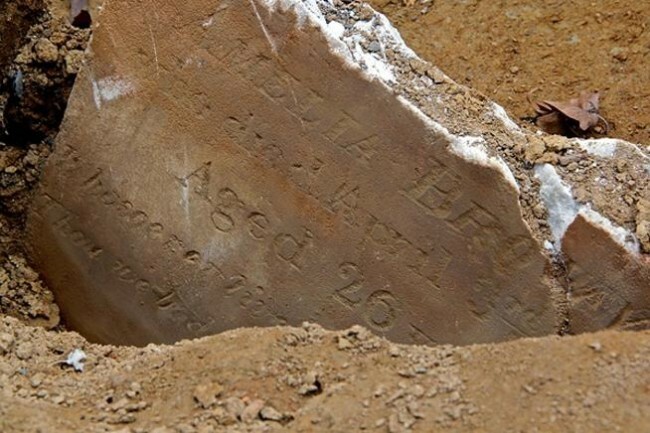 Forty-seven-year-old Henry Simmons died this date, January 10th, in 1847 and was buried at Bethel Burying Ground. Forty-seven-year-old Henry Simmons died this date, January 10th, in 1847 of Typhoid Fever and was buried at Bethel Burying Ground. He lived with his wife Ann (47) and their son John (25) and his wife Harriet (26) at 17 Lawrence’s Court which is located between Spruce and Pine Streets and between 4th and 5th Streets only several yards away from Old Pine Church. The family paid approximately 85 cents a week for a room that was home to four adults. Ann and the children were born in Delaware. Henry’s place of birth wasn’t recorded. The 1847 African American Census reports that one of the adults was born enslaved and eventually manumitted. Henry was employed as a waiter earning $3 a week ($75 in today’s currency). Ann was a laundress, John was a laborer and Harriet was “in-service.” All attended religious services according to the 1850 Federal Census and the 1847 African American Census. A sketch of what Lawrence’s Court may have looked like in 1847.